With an apocalyptic land-hurricane headed our way, about half of Con Ed’s 8,000 locked-out union workers agreed this morning to come back to work temporarily. 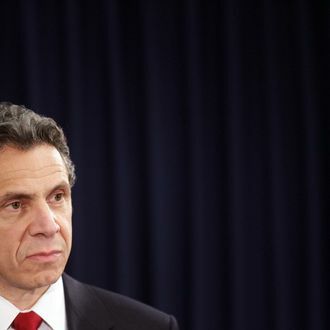 But as doomsday got closer, Andrew Cuomo went ahead and pushed harder for a deal to end the entire three-week ordeal, so we don’t all perish after it pours. “Sometimes a storm has a silver lining,” Cuomo said, because clichés are comforting in this time of need.